I first encountered Flash during a Digital Animation course, where I learnt to animate using vector graphics. I quickly discovered I love programming, and taught myself Actionscript over the next year, then released Project Validus. I know how to do every element of the game creation process, but have recently started working in a team so I can develop larger projects without melting my brain. I did some work making E-Learning games for WoogiWorld, but apart from that all my projects have been independent. I've made far more game engines than finished games, but check out some of the fully produced ones below. Hopefully some day my unfinished works might also become realities! Apocalypse Later is a massive side scrolling, tactical shooter project; with full voice over and cutscenes, as well as fully customisable AI squad members and player abilites. Current team: Emir Cerimovic (art & animation), Zonic Zynth (additional soundtracks) and myself (soundtracks, writing, design, programming, voice acting). 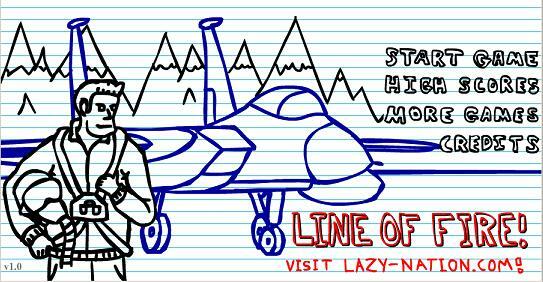 Line of Fire is a doodle-style side scrolling flying game. Everything done by me, except the music. Released independently with MochiMedia serving advertising into it. Ostrich racer is a gambling/sim game. I would not normally have made a game like this, but I made the game engine on contract and the nameless person who I was making it for decided they didn't want to pay me the agreed upon amount. So I ended up doing all the art, music and designs myself and releasing the game independantly, sponsored by Mofunzone. I ended up getting far more than double what I would have been paid on the void contract, so no harm done I guess. Project Validus: Survival is a top-down zombie survival game, with heavy RPG elements and upgradable character attributes. 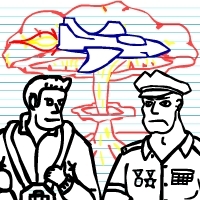 It was my first game, as well as the main project I worked on while teaching myself how to code and develop in Flash. It was pretty popular back in the day, and there have been many similar games released since that time. There is a new version in development now that I have learned enough to make my vision of this game come true.